So Many Veggies, So Little Time! A Week Of Healthy Eating! We’ve come back home after 4 and a half months at the cottage, and aside from condiments, the fridge was bare. It was such a rainy day that we decided we might as well be visiting a few favorite places to grab some fresh food. 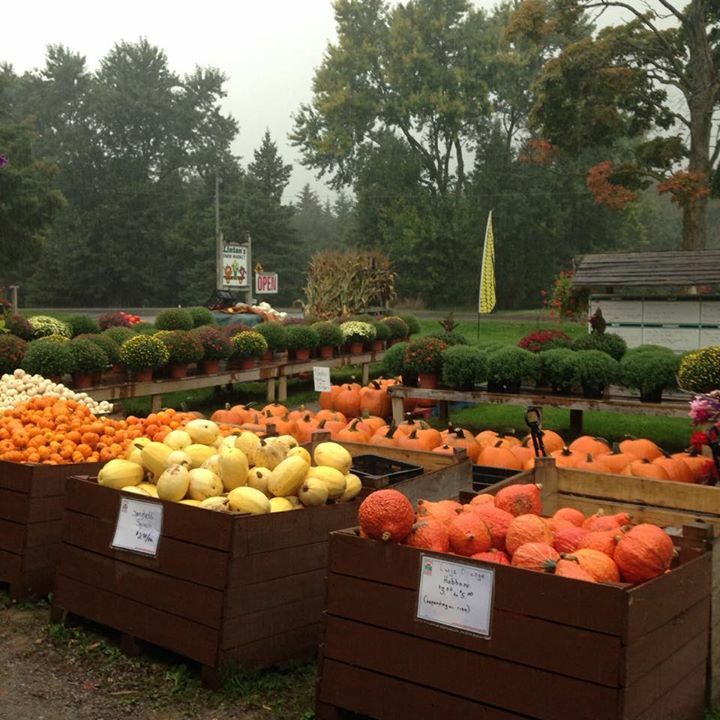 When you think of farm-fresh produce around here you think of Linton’s Farm Market. That’s were we ended up today. 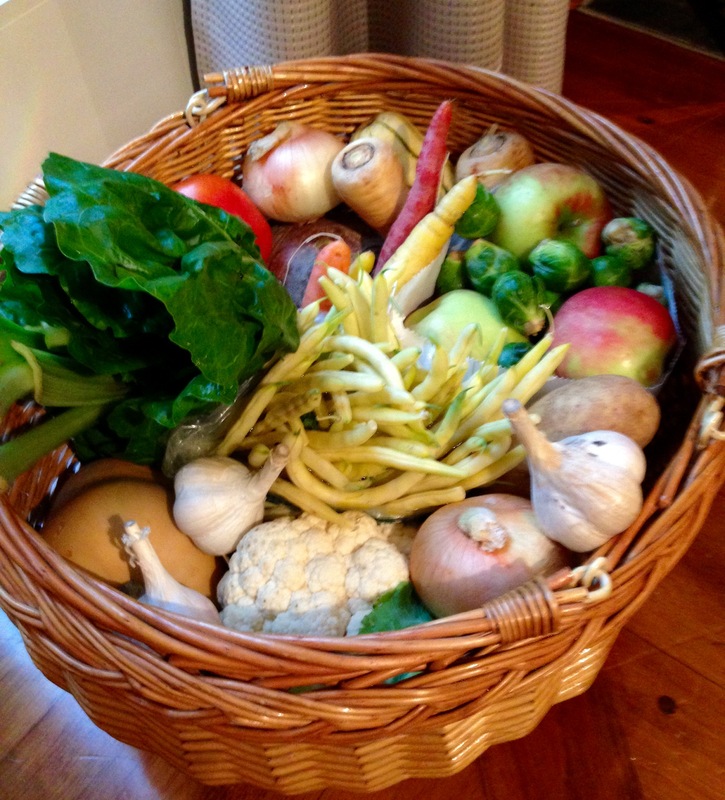 Despite the down pour we filled our market basket with everything from Apples to Zuchinni! It’s going to get very interesting around here in the next few days. Your TwoFoodNuts Meal forecast for this week! We’d say this bountiful trip to Linton’s will be followed by a chance of Curry Squash & Apple Soup and a downpour of Roasted Root Vegetables in Balsamic with a flurry of German Potato pancakes. Expect to see a Plum Pie in the evening with a clearing trend that ushers in Iona’s Wax Beans In Cream to round out the forecast. We’re certainly going to be healthy when this week is over. What’s your favorite Farmer’s Market? Use the handy form to comment. This entry was posted in Fall, Farmer's Markets, Vegetables and tagged farm-fresh produce, Farmers markets, healthy eating. 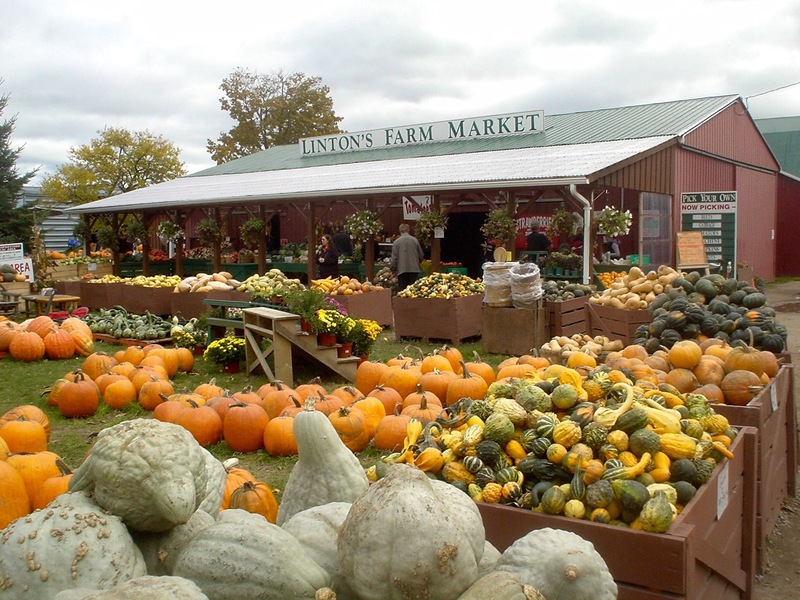 home cooking, Linton's Farm Market, organic vegetables, Vegetables, vegetarian foods. Bookmark the permalink.